For the Grade Five level of the RGT acoustic guitar exams you need to be able to play an unaccompanied solo piece. Four pieces are provided in the RGT Grade Five handbook, but you are also able to choose one from a longer list of pieces listed on the RGT Acoustic Guitar Exam Information Page, or if you prefer you can play a ‘free choice’ piece (self-composed or otherwise) in the exam, providing it is of a similar standard. An extract of the notation for one of the pieces from the RGT grade handbook, ‘Mourning Air,’ is provided below, and the first section of the piece is also demonstrated in the video below. 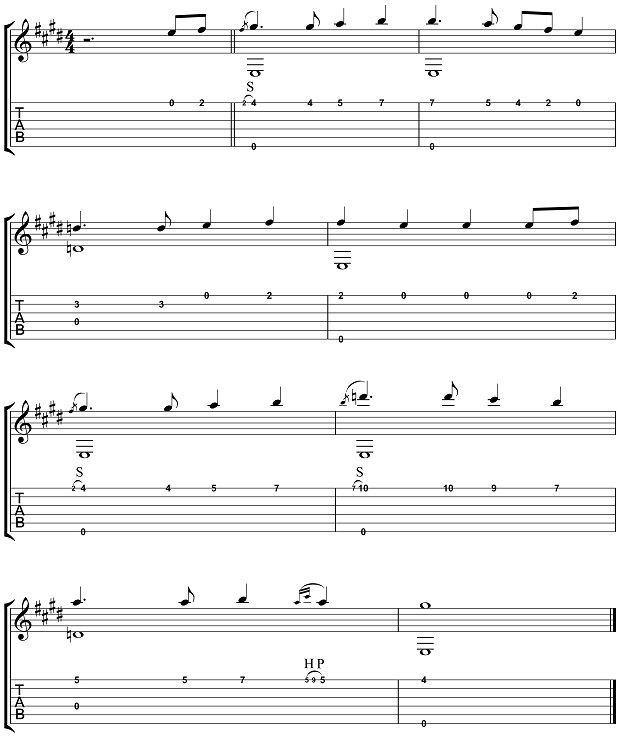 The piece is written in a traditional Irish style, that of a Celtic Air, using the E Mixolydian modal scale – this is similar to E major scale but with D replacing D#. It uses ‘ornamentation’ – i.e. a variety of slides and slurs – to embellish the melody. 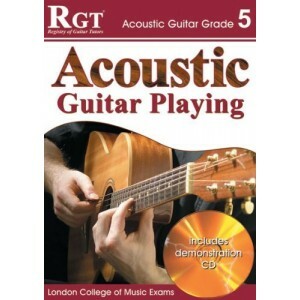 You can also click here to purchase the RGT Grade 5 Acoustic Guitar Exam Book, which contains the full score to ‘Mourning Air,’ as well as all of the other musical requirements for this exam. Click to view the Mourning Air Lesson Part 2. Here is the first 8 bars of the piece ‘Mourning Air,’ which is covered in the video lesson below. To perform the ascending slides, pick the first melody note simultaneously with the bass note, and then keep pressing against the fretboard whilst you slide the fretting finger quickly along to the higher melody note. To perform the double slurs, pick the first melody note simultaneously with the bass note, and then hammer on the higher note quickly and firmly, before pulling off back to the original note. 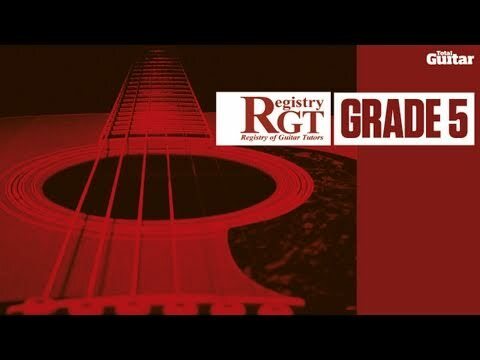 To find out more about the ‘Mourning Air,’ and the RGT Acoustic Guitar Grade 5 Exam, please download the RGT Acoustic Guitar Exam Information Booklet.